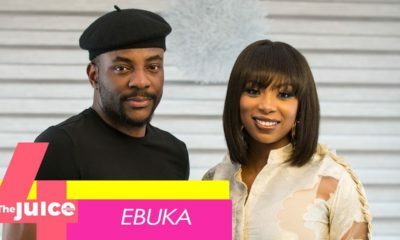 Can this year get any better for media personality Ebuka Obi-Uchendu? We reckon it can! 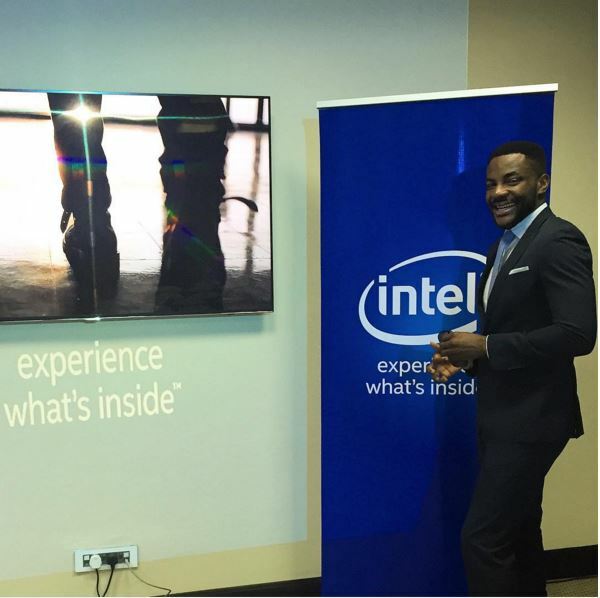 He has just been announced as the newest brand ambassador for Intel just a few months after Titi Sonuga was also announced as the spokesperson for 2015 (Click here). 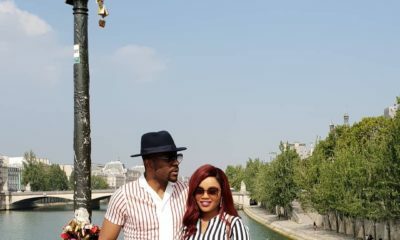 Ebuka shared the good news with fans on Instagram. Vic O shall be officially unveiled to the public in a press conference and party this month, on the 18th of November. Peter Okoye is an Adidas Ambassador! Lol…..Vic O bawo. I don’t believe this. Make i go google the company to be sure it really exists because this can be some fake endorsement. I duff my cap for Vic O. Correct bobo. Vic O Baba! I’m your undercover #2 fan! Youp! Youp!! Youp!!!! Youp!!!! Youp!!!!! 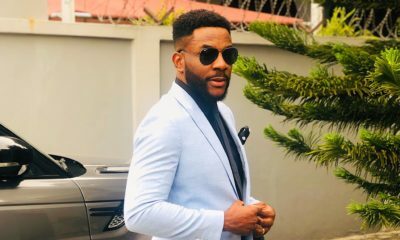 Bad idea to share him in the same post as the Ebuka guy sha ? Vic O takes the crown! In the end,people, [ concerning VicO], I would want us to understand that there is a market for the good , bad , and the ugly. The thick iron(ies) of life. Of some American artists , I used to wonder how they became great markets. Let me not mention names because many of us bought them and think they are the best things ever. I can’t hate on Vic O right now. Congrats to him. vic o. Hmmm m. what is the messaging or intent? Yessso! The reconciliation you need is by the first 20 comments on this article.. It will be about VicO. He’s using ‘reverse-branding’ to win the game..
twitter.com/lollipops_party has keyed into that to launch into the market. 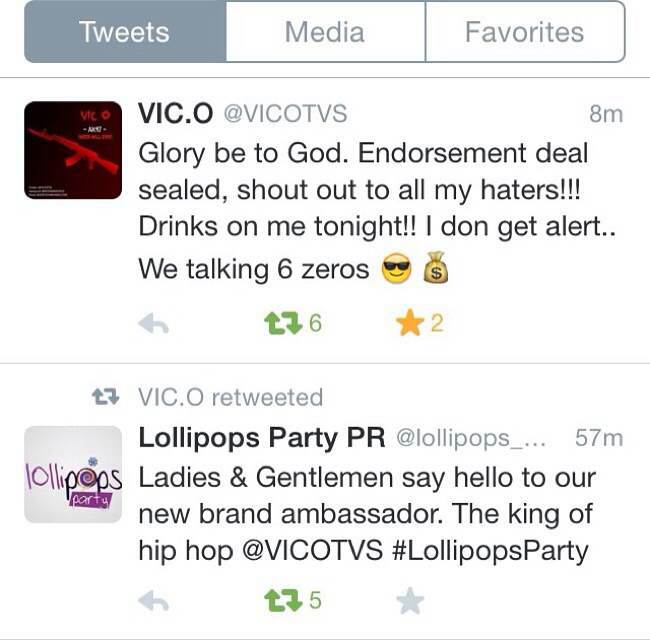 Ofcos a lot of pple will now know them, not necessarily that VicO shd be present at their events. Lastly, VicO is a ‘joker’ and kids loves jokes…lmao..
ah said youp! e youp! e youp! common nah hevverybody! lollipop parry! hehehe i sense a remix in works. In which currency is this please? 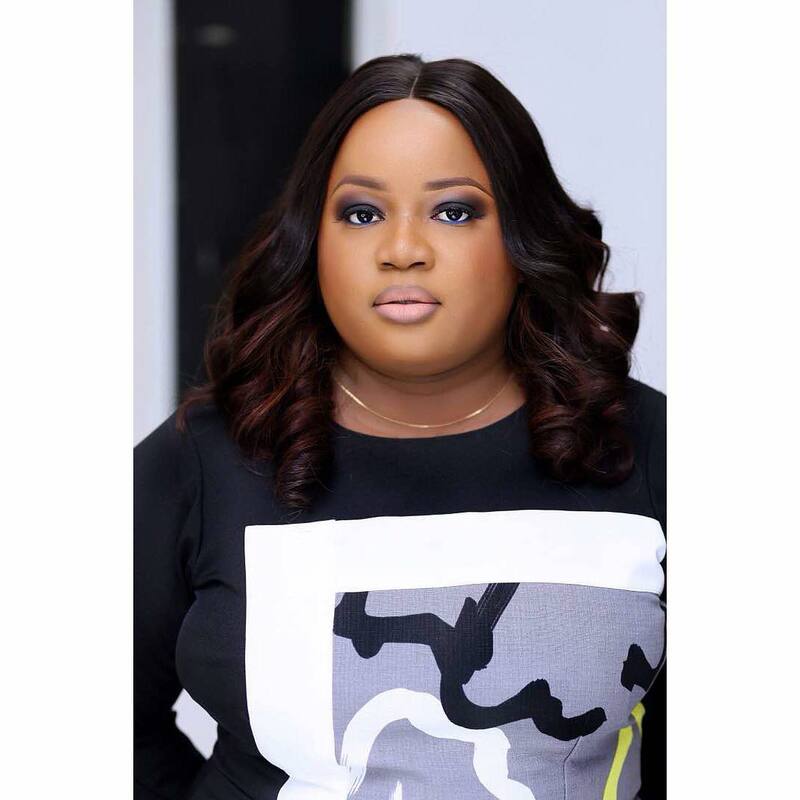 Naira or dollars or pounds? 6 zeroes is less than a million if I am not wrong. In any case, sha put some aside for the rainy day.